Times may vary depending on the star rating the item has. Can I complete this quest even though I have passed level 24? Why are there two versions of this quest? No Game Center Friend Spaces Left! Good grief! Is it even possible to do this one in the time frame without actually looking ahead and doing one or two of those 1 day tasks early? 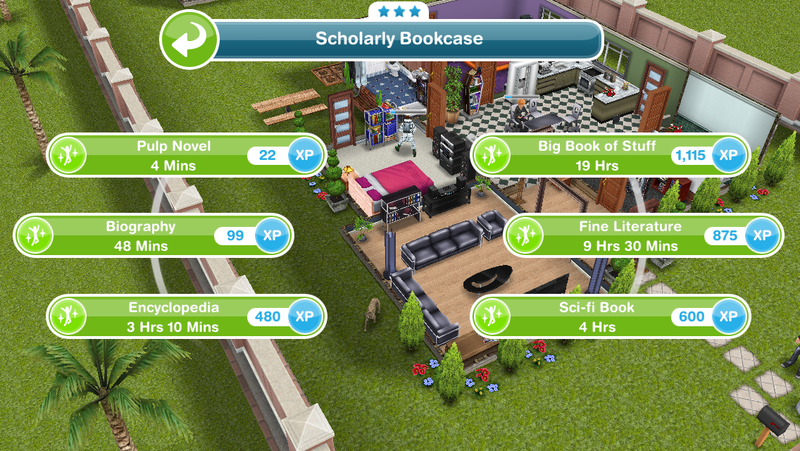 I’m afraid I didn’t check here until part way through the quest and wound up having to use LPs to finish the last task. Thanks to your tip about cooking though, I haven’t actually had to spend any money on this game. Hey, I just got to the last step… “all-night bird spotting” — the time frame has been increased to 1 day and 9 hours (33 hours total) for this activity. In all quests, is there one that asks you to build pet store? Thank you very much! I love your blog! Hey, I actually spent less time on these missions . 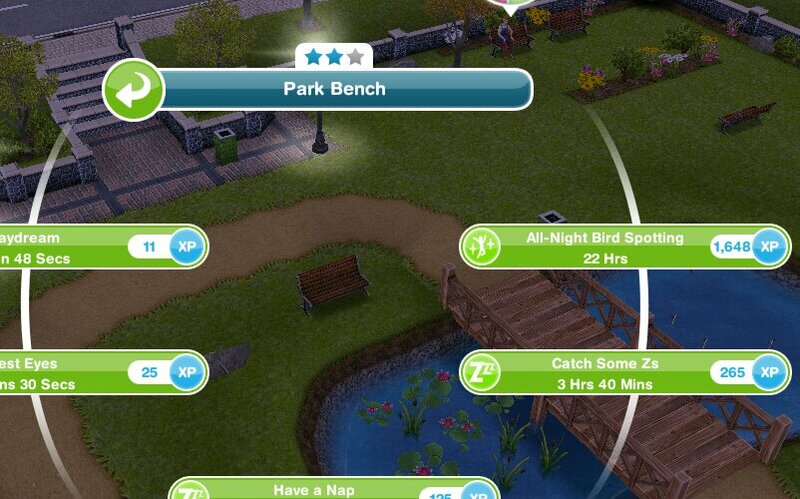 For example when you said it takes 33 hours to complete bird spoting, it took me 22 hours . I’m not sure whether it’s a bad thing but it did throw me off. Version 2 would have been what you had then, it does say if version 1 isn’t correct for you please scroll down for version 2. Why is there a version 1 and version 2? How do you get the second version? so my question is that (its not related to this quest)how can i complete actions faster without using lp? note:please ans fast in emergency!!!! The written time is correct, I am sorry but I do not have pictures of the different times so I’ve had to use the same ones for each version. Can I complete this quest even though I am passed level 24? Okay, thanks for clarifying, that makes sense. I was just hoping that maybe I would not have to do all these looooong tasks but I guess there’s no other way. The written times are always the correct times otherwise I would just post the pictures, the pictures are just to show you what object you need to use more than show you the time. 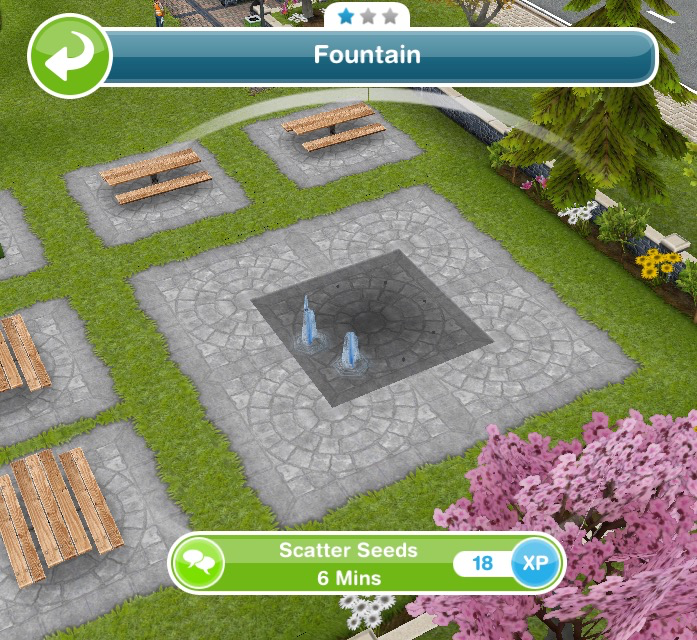 I’m unable to throw bird seeds at the park fountain. All I get is the blue footprints! 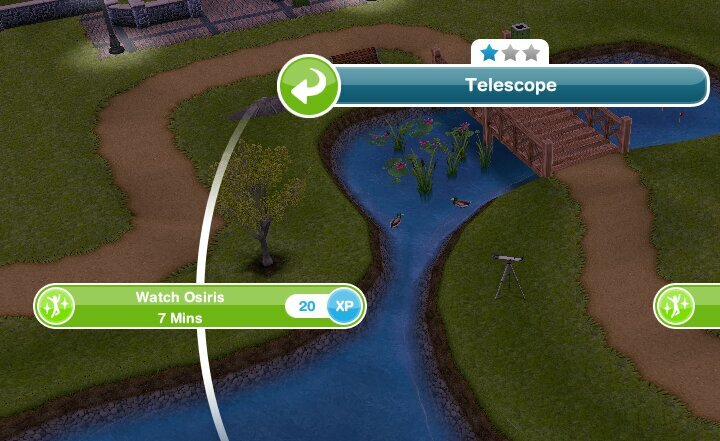 Does the sim have to be a senior to complete this task? The sim doesn’t have to be a senior, they need to be at least an adult so are you using an adult sim for this? Thanks a lot! Your blog really help me whenever there’s a quest I want to start or just pass by. What if i was able to complete the quest on time..Do i need to get pet store for getting the parrot?? 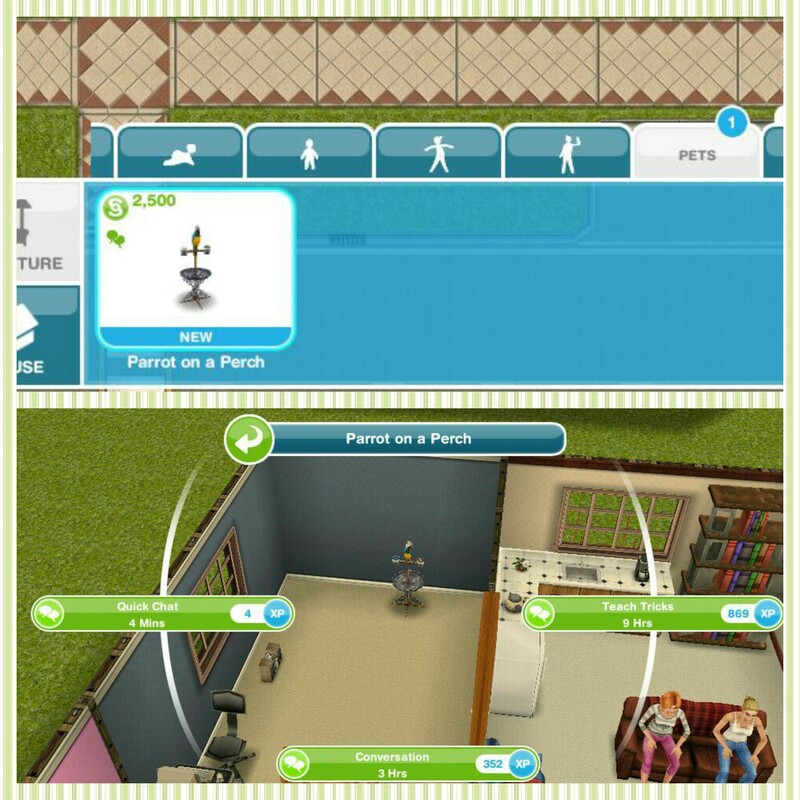 You will need the pet store to unlock the pet tab in the home store where you can find the parrot to buy, you won’t need to buy it from the pet store. 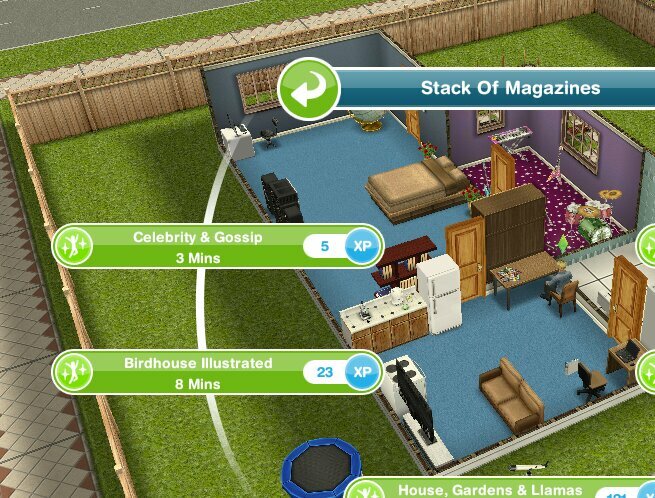 If you get the bird in the time limit then what do you get from completing the hobby? There are two different birds, you get one if you complete the quest in the time limit and a different one if you complete the hobby. Hi, I didn’t get this quest, I just started playing again, I’m level 49, I just did the life dreams and legacy, I can do the quilting hobby though… no birds, no benches, none of that. Any ideas what to do? That is very strange! You may want to contact the makers to see why you haven’t had this quest in your game to see if they can fix this issue for you. If i have to complete one task for 2 different questions, can I just do I once or do i have to do the task twice. For example I am doing the Bird Feeding questions and the Dance to Remember questions both right now, and you have to grow a pumpkin for both. So can I just grow the pumpkins once or so I need 2 Sims growing at the same time? Yes if you grow pumpkins once it will complete both of those tasks. 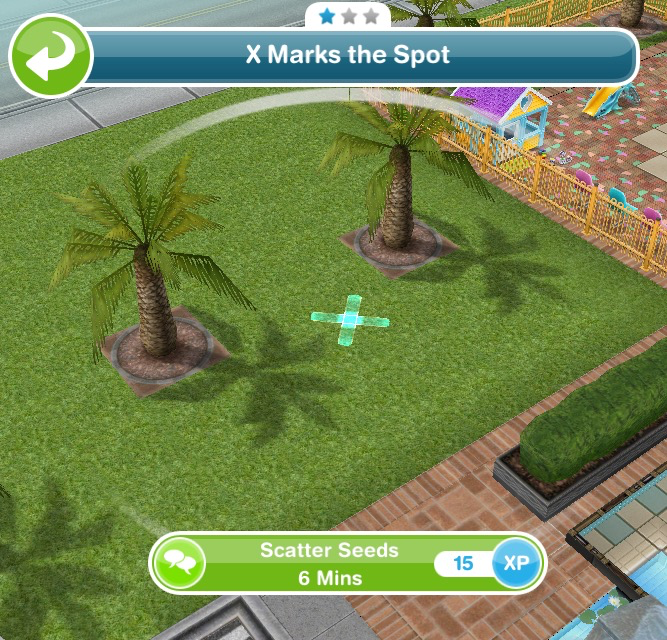 I am not getting the option to throw seeds at the swim center when I touch the grass between the two palm trees. What can I do to get this option? 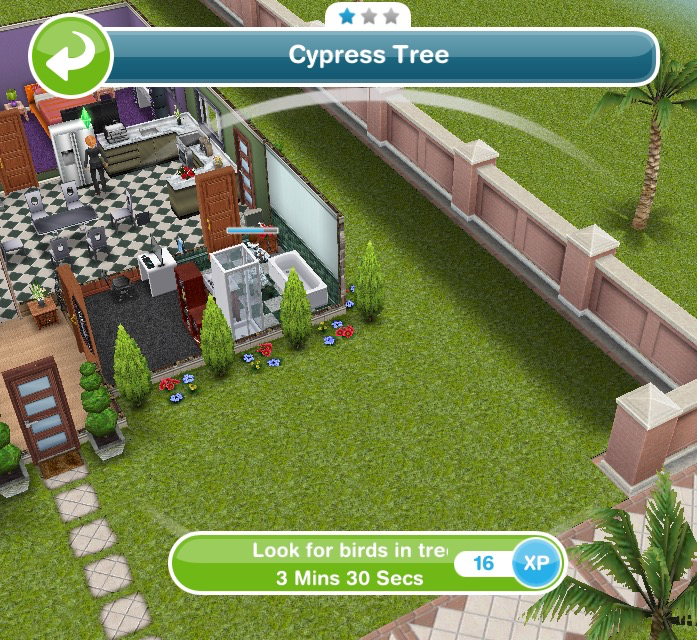 Have you sent your sim to the swim center first? 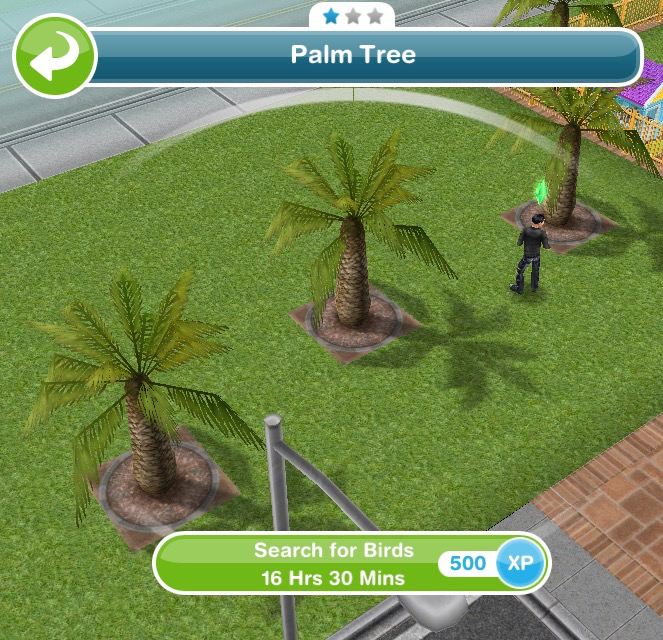 I was looking for the option at palm trees which are inside the swim center but this option comes at palm trees which are right outside the swim center. Problem solved.